Southern Italy may not get the bulk of the 40 million visitors who stroll through its borders each year, and that fact alone makes a trip to the Puglia region a must visit for anyone who wants to see another side of the country. It is here you'll find long stretches of coastline, punctuated by golden beaches and bright blue seas, and medieval towns protected by towering stone walls. How Puglia has stayed off tourist's radar for so long is anyone's guess. But if you do find yourself in this incredible region, then he are three of our favorite things to do. The turquois water of the Ionian dances along the soft sand beaches just south of Gallipoli. Driving south on Lungomare Galilei, past the popular summer beach clubs, there is a section of coast lined with pine trees. 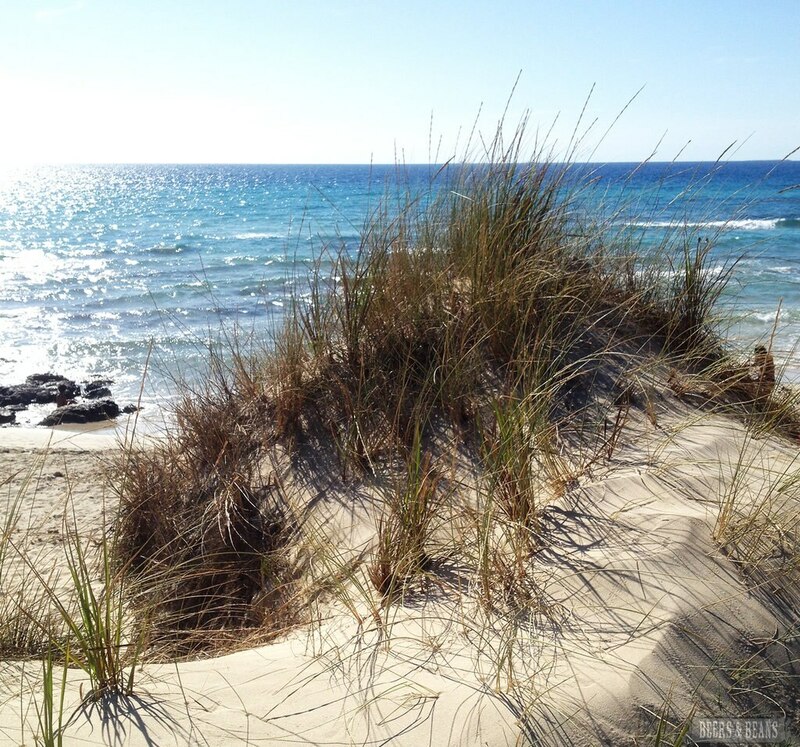 A short walk through the twisted forest reveals a white sand beach with an incredible view of Gallipoli, whose old town jets out into the warm, blue sea. The spot is easier to find than it looks, especially in the summer months. You likely see a number of other cars parked along the side of the road, so park among them, and then follow one of the several tree-lined paths through the dunes. Set on the southernmost tip of Italy's heel, where the Adriatic and Ionian Sea meet, it should be no surprise that Santa Maria di Leuca is all about the sea and beaches. Leuca, as it's commonly called by locals, is a quiet beach town with gorgeous villas and a nice selection of family-owned hotels. There are a number of bars, lidos, and restaurants, making it a great escape for couples and families alike. For one of the best panoramas in all of Italy, visit Piazza Santuario, which sits on a high bluff overlooking the town. Puglia is home to some amazing wine made with regional varietals, like Primitivo, Negroamaro and Malvasia Nera grapes. One great example is Duca Carolo Guarini in Scorrano, which is one of the oldest wine producers in the region. But Puglia also produces some really tasty craft beer too. Birrozza and Terrona, are just two examples, of microbreweries that are helping to shape Italy's young, but promising craft beer scene. Generally speaking, southern Italy is cheaper than its northern neighbors, but traveling to Puglia in the offseason is still your best bet if you're on a tight budget. Renting a car is the best way to see the region, as public transportation is pretty much non-existent. If available, always opt for a diesel engine over gas, since the former will save you money at the gas station. Tipping is not necessarily in Italy, but often locals will round up the check. With that said, if you found the service to be particular good, then leaving 5-10 is more than suffice. Galatina in Salento is the only place in Italy where tarantism still exists. The mania, which swept the country in the 15th - 17th century, is performed by alleged victims of a tarantula spider's bite. Baroque architecture flourished in Lecce during 17th century, and can still be seen today throughout the city. In fact, the baroque style was so popular in Lecce that the city earned the nickname of Florence of the South. In Otranto, the bones of Christian martyrs are housed in the city's Duomo, which dates back to the 11th century. 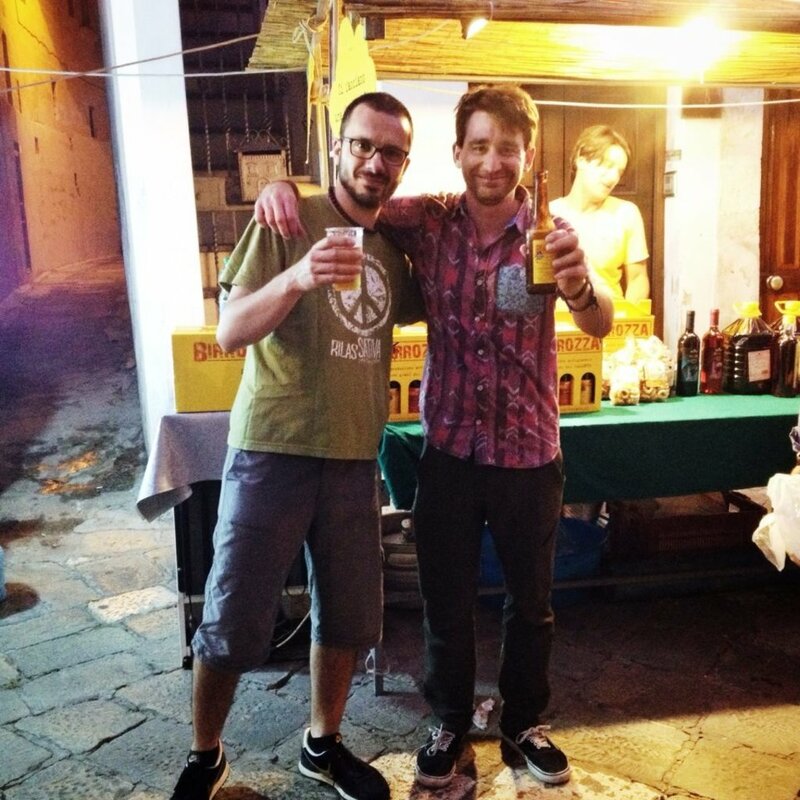 We fell in love with Puglia, but it was Notte delle Luci that really stole our hearts. It was amazing to be at a festival that had so much meaning to the people of the region.